Michel BARGE (Director, Peugeot Sport): "My congratulations go to Audi. We were here as challengers, and I think we were gave them a good run for their money. It was a thrilling duel and we will be back next year to fight again. We go away with much that was positive, too. We came exceedingly close to pulling off an exploit and I believe we produced a first class overall performance. It was towards the end of the night that we lost all chance of winning but we managed to finish hard on the heels of a very worthy opponent. That's something I won't forget in a long time. The drivers and all the technical squad did a great job and we all have the motivation to win. We establish objectives for ourselves; that's how we progress." Bruno FAMIN (Technical Director, Peugeot Sport): "It was an exceptional fight and an absolutely thrilling race. 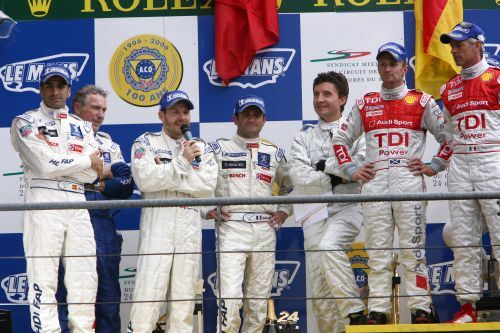 Nothing can ever replace actual competition, especially at Le Mans. We lack experience and we also hit on two problems we had never previously encountered with the 908: a faulty battery and a problem with a gear selection component. 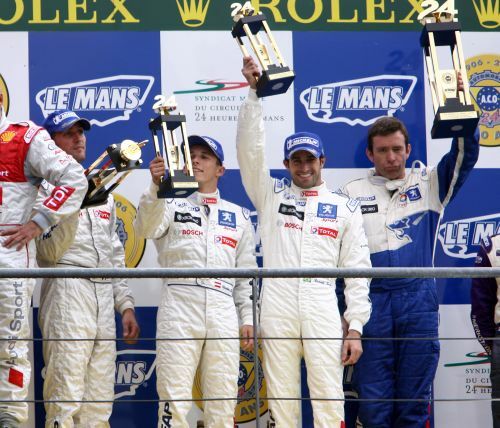 We'll be back in 2008 and we have already profited from the weekend to start work on the 2009 Le Mans 24 Hours." Franck MONTAGNY (N°9 Peugeot 908 HDi FAP): "I've obviously got mixed feelings about this weekend's result, but I am pleased to have finished on the podium. It was a very close race and the conditions were very difficult. We lacked experience, but I also had some unforgettable moments this weekend, and had a fantastic time at the wheel of the Peugeot 908 HDi FAP." 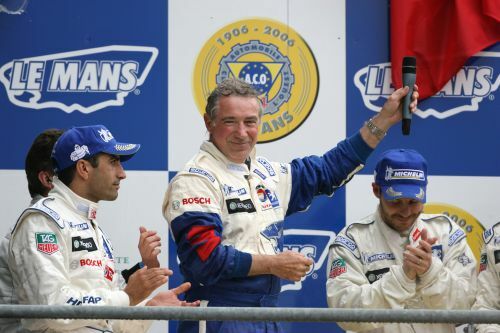 Nicolas MINASSIAN (N°7 Peugeot 908 HDi FAP): "We knew it would be difficult, but I'm disappointed not to have won. It has to be said, though, that our opponents did a remarkable job. At the very end of the race, we did everything we could to catch them. We stayed out on slicks in the rain and then gambled on rain tyres because we were still some way back and we had to try something. We will now have to analyse everything that happened this weekend to come back even stronger than ever." Marc GENE (N°7 Peugeot 908 HDi FAP): "The early part of the race was more straightforward because the conditions were dry. After that, in the rain, we failed to optimise the use of our tyres in the same way as our rivals. Even so, we crossed the line in second place and that's a result I would gladly have signed up for this time last week." Jacques VILLENEUVE (N°7 Peugeot 908 HDi FAP): "It's nice to finish on the podium, but I'm also disappointed not to have won because that was our objective. But our rivals did an excellent job."